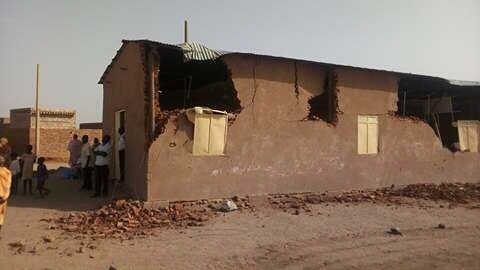 Leaders of the Sudanese Church of Christ (SCOC) have been detained for some hours in the capital, Khartoum, during which they were ordered to hand over ownership of their church to government officials, by transferring authority from an elected committee to a state-sanctioned rival committee. The five men, who, according to a World Watch Monitor source, included the SCOC President, were arrested as they left a church service on Sunday 22 October. They refused to hand over the leadership of their church and were released without charge later that day. A group called the International Solidarity Campaign with Sudanese Christians (ISCSC) said in a statement that “Col. Nagmadeen Badradeen entered the Sudan Church of Christ church in Thawra, Area 29, Omdurman. He and a team of police interrupted the service, ordered the leaders to end the service and shut the church. They humiliated the pastors and then held them at a police station”. The same group named the five as Ayouba Telyan and Abdelbagi Tutu, Moderator and member respectively of the SCOC Council, the leader of the church in Thawra Ali el Hakim, Ambarator Hamad and Haibil Ibrahim”. The SCOC represents about 220,000 of Sudan’s one million Christians, in over a thousand congregations. This latest arrest follows pressure by the police on other members of the SCOC leadership to relinquish control of their Church. On 2 September four members of SCOC’s senior leadership team (again, apparently including President/Moderator Ayoub Mattan, plus Head of Missions Kuwa Shamal, Abdul Bagin and Jemin Hassan) were told by the security forces to expect charges to be brought against them after they refused to hand over the Church’s office premises to a committee of government officials. In May, before this latest clash with the authorities, SCOC risked writing an open letter of protest to the Sudanese government about what it called “the systematic violation of Christian religious freedoms”.